I'm exhausted and brain fried so this will be a pretty short post. As you may have already read, I packed everything up Monday. I was so excited and just couldn't wait. These are 3 of the 6 fall/winter clothes I have left out to wear. This sweater dress (a gift from my mom) is so comfy and easy since I can just throw on a pair of tights and boots and call it a day. 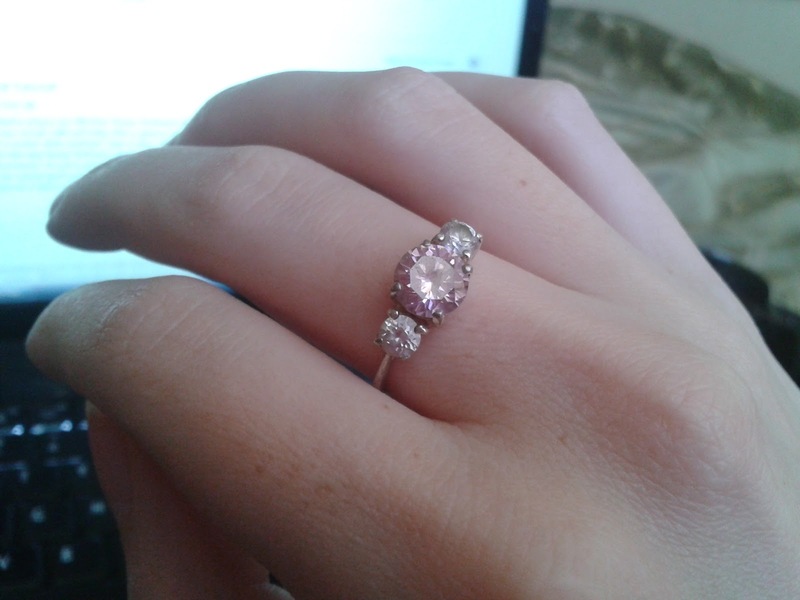 I had to show you this ring my mom also gave me. I think it was for my birthday, but it could also have been for Christmas. It's one of my firsts I had gotten from her, and one of my favorites. It's a gorgeous pink, and changes shades in different lighting. My mom is a ring expert, or at least we have the same tastes when it comes to rings and she always gets me the best, most gorgeous rings I've ever seen. I'm about to take a wee nap and then I'm heading on over to the library to do my INFS final and then I'm going to my Audio fundamentals class for the review on its final. PHEW! Just two more days...just two more days. Your boots are ADORABLE! Love the color. I also really like your ring. You took some great photos. Are they selfies? Thank you! I don't even remember where they're from (sorry!). Yessum! All my photos on here are taken by me. I need to get a tripod and remote to make it easier, haha. Well, I really like how you used the natural light. Gorgeous! LOVE this dress and boots combo. You look super awesome! :-) Those boots are just killer. Love them. Thank you, thank you they are possibly my favorite boots.